High off her New York Fashion Week debut with Puma x Fenty, Rihanna is racking up her fashion cred, now with an exclusive collaboration with shoe designer Manolo Blahnik. 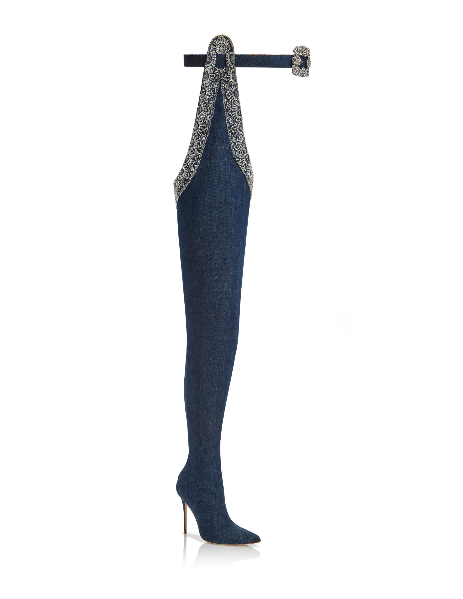 RiRi and Blahnik designed a limited-edition capsule collection of six pairs of shoes, ranging from a classic, low-heeled sandal to thigh-high boots that she wears in this month’s issue of British Vogue. The unifying element in the collection, priced from $895 to $3,995, is denim that is decorated with sequins and embroidery that’s inspired by Rihanna’s unmistakable hand tattoos.